Lisbon is like a patchwork quilt. A big city, stitched together from assorted landscapes, architectures and lifestyles. And if a city’s soul is to be found in its people and its places, it only makes sense to start our trip at St. George’s Castle. 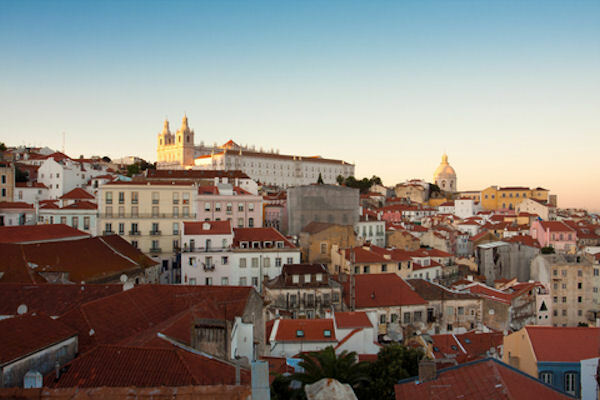 Drop down to the Alfama, one of the most iconic of Lisbon’s neighborhoods. Here you will find the Fado Museum and numerous fado houses and restaurants. Beating a path into the heart of the city, you will come to the Pombaline Down Town. There’s always time to stop in Rossio and taste the Portuguese Ginginha. Ascending, you find yourself in Chiado, a cultural hub with a sophisticated air where artists, intellectuals and poets meet and mingle. Going on up, we arrive to the Bairro Alto, the Mecca of the young and Lisbon’s nightlife. This is a place where the old and the new, the traditional and the sophisticated live in harmony. We cannot forget Principe Real Garden. This garden stretches on a surface of a little over 1 hectare, and it stands out from the multitude of green spaces in Lisbon by its impressive centuries-old Portuguese cedar which has a crown the diameter of which exceeds 20 meters. Given their culture, history, architecture, inhabitants, you must discover these very unique Lisbon neighborhoods. We want to exceed your expectations and turn your Old Town discovery into an amazing experience!